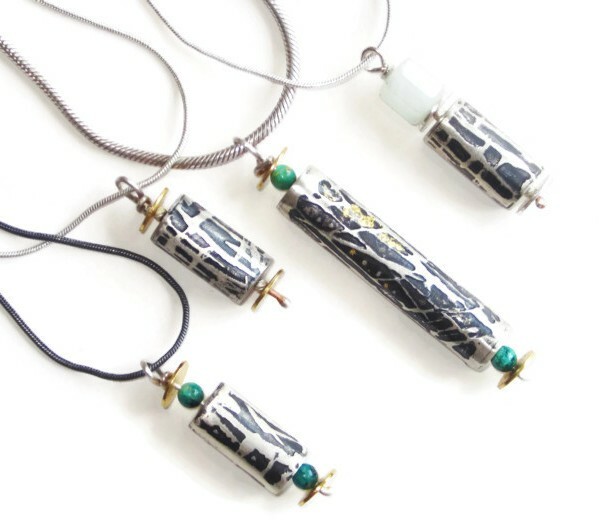 Louise Richards is an award winning jeweller who works with precious metals and specialises in enamels to create unique pieces of jewellery and artwork. 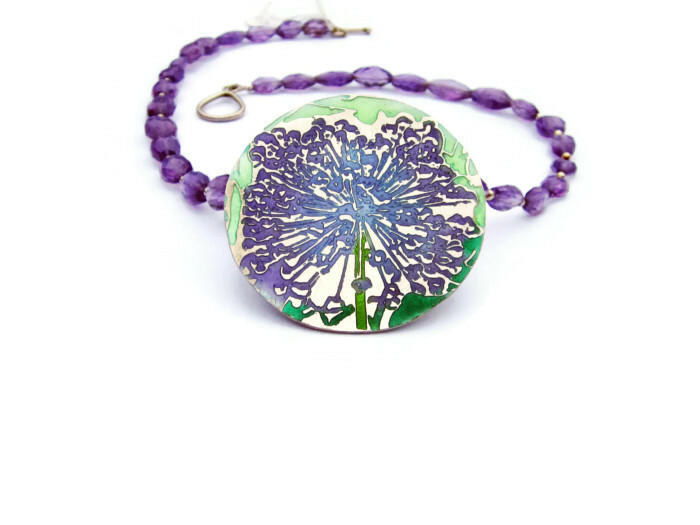 She is influenced by the world around her drawing from her delight of botanical and natural forms. Her garden and walking in Cornwall inspire her from the seascapes to the rugged coastlines and coastal paths with hedgerows bursting with plants. 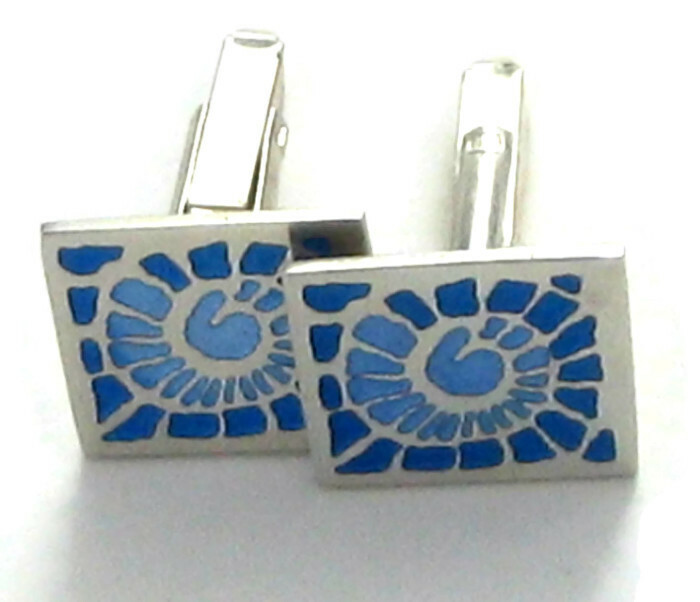 Louise has always loved colour and finds that enamel is an excellent, way to add colour to a piece. 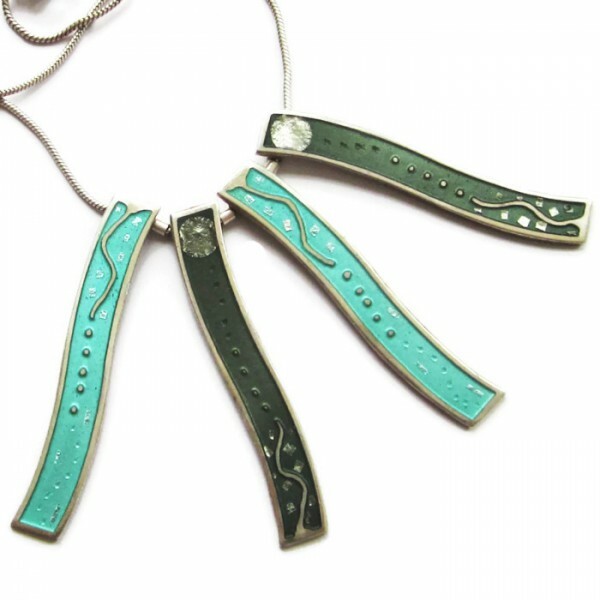 Fired enamel gives a depth and vibrancy to the jewellery that you do not get with other methods. 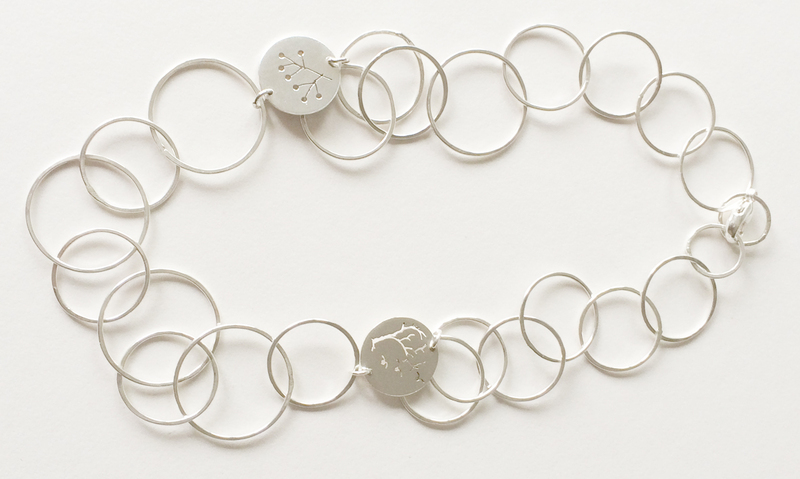 She adds background textures and foils to give the jewellery interest and movement and to inspire the imagination. Enamelling is a labour of love, it is time consuming, but the thrill of taking the piece out after the final firing still entrances her. 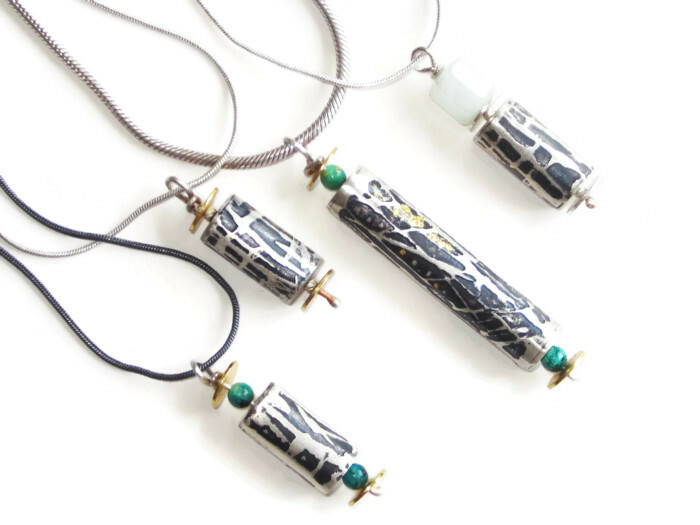 In recent months, Louise has been exploring using silver to make jewellery and playing with different methods of finishing the piece either by polishing to a mirror shine, matting, melting it (reticulation) or oxidization. 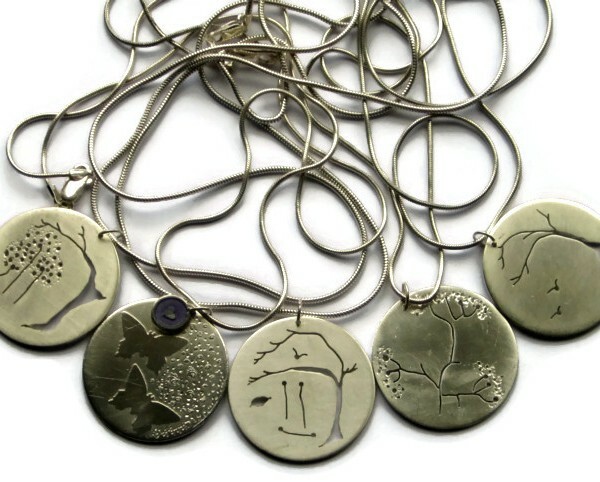 She has been using a tiny saw blade to pierce out patterns and designs and calls it “drawing with a saw blade”. It is very important to Louise that her jewellery complements the wearer and is comfortable. 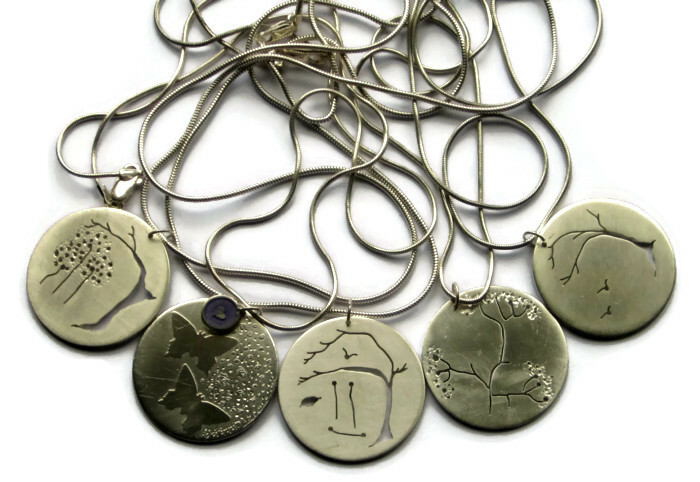 Many of her designs are one offs and she treats each piece as a minicanvas. 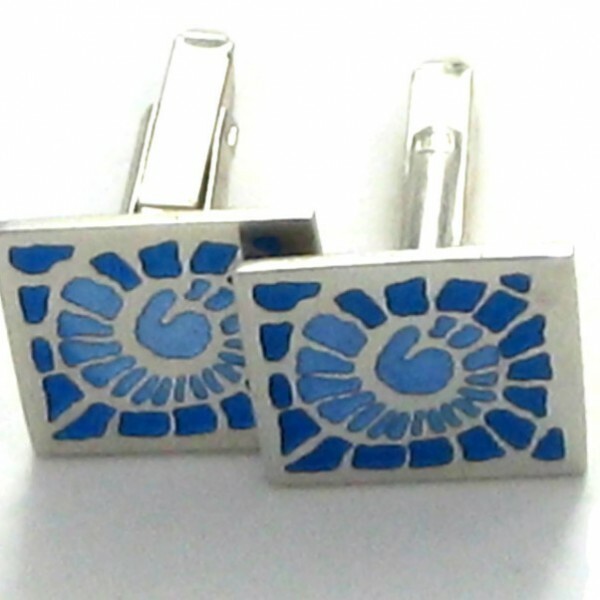 She has been involved in many commissions: enamel wedding rings, christening boxes, cufflinks and necklaces.